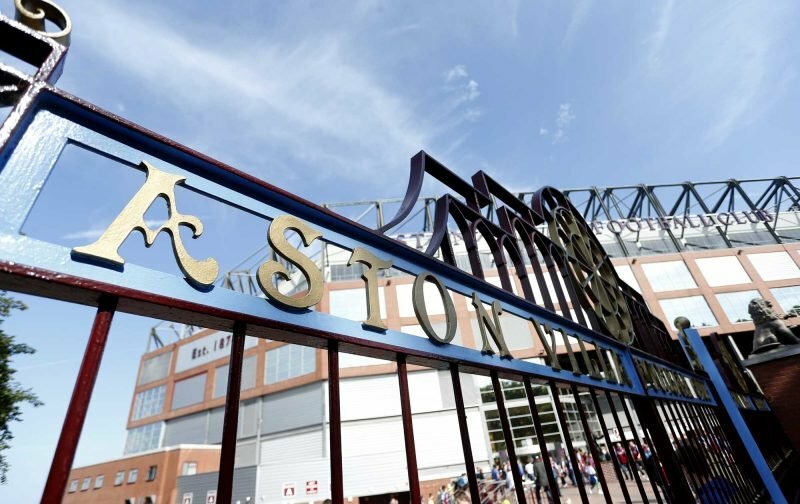 All hopes that Villa’s poor performance against Queens Park Rangers was a one-off glitch had to be set aside this week, after Bruce’s boys failed to negotiate the snowy wastes of the Macron Stadium with much credit, last Saturday teatime. As usual my disappointment distorted my initial perception and I found that my expectations of Villa, excited by the Wolves win, were still very much extant, and my expectations of Bolton Wanderers proved hubristically low. Even so, the game had a few ugly reminders of that dreaded philosophy called pragmatic football. The failure of the under-soil heating to keep the pitch clear of snow. Only clearing the worst end of the pitch when the home team was defending it, and the use of the towel at throw-ins, were all unwelcome reminders. Villa didn’t deserve to win the game but the presentation of the game left a lot to be desired. Villa looked a little nonplussed by the snow and it was probably their perplexity, as to how to deal with the conditions, which led to them conceding the early goal from a corner, which they never quite recovered from. Villa attempted to play their usual game, which is highly reliant on the precision delivery of Grealish and the two wingers, but with the pitch and ball so slick and slippery Villa’s game-plan never really worked and with the forwards looking hesitant, no clear chance was created. It seemed that even Steve Bruce was struggling to find answers, when he brought on Hepburn-Murphy, presumably motivated by the thought that his lower centre of gravity and good technique might help. Bolton created and missed the best chances of the game. The tackle on Bjarnason by Henry deserved a red card. It wasn’t a terrible performance by Villa. The conditions just didn’t suit their game and there was the odd hint that some players didn’t fancy it. We can only hope that Villa can use the international break to get their heads together and that they can reassert themselves when they get the chance to play on grass again. The game opened in blizzard conditions and the white ball was quickly swapped for something slightly less invisible. Villa produced a sweeping move down the left and then switched the play to Snodgrass on the right. He created space to cross the ball which was easy meat for goalkeeper Alnwick, but Villa’s strikers were either absent or static. Grealish was in the centre-forward position. Villa enjoyed some leisurely possession which broke down when Elmo sent a long ball straight to a Bolton head and the Trotters’ direct, quick move, was halted by a collision which earned Chester a yellow card. Villa cleared the resulting free-kick but Jack Grealish couldn’t prevent the corner as he miscontrolled. Villa formed up their flying wedge in defence and Ameobi sent in the corner. The ball flew in a flat trajectory like a pudding. Pratley at the near-post helped it on through the gap with a flick and Le Fondre tapped in. It looked like the result of the conditions but Pratley’s movement suggested it might have been rehearsed. Villa looked to be in trouble as Bolton created another chance from a free-kick. Ameobi sent in the cross, it was headed down and Flanagan should really have made it two. Villa made another successful foray down the right and Grabban did very well to get to the byline and put in a quality cross. Adomah took flight but was baulked by Flanagan and his header went wide. Villa showed their quality with a quick passing move down the left and showed their physical power as they retained possession. Bree sent Grealish through and Jack sent in a firm cutback which Grabban had to reach back for, and it went past the post. Ameobi’s charge towards the Villa area, ended with a free kick, which he took himself. His long-range effort dipped nicely over the Villa defensive wall but did not have enough power to trouble Sam Johnstone in the Villa goal. Villa were looking increasingly desperate as the second-half started and making little progress, so Bruce brought on Hepburn Murphy for Hourihane after nine minutes. Villa made progress down the right with the youngster involved. Grealish’s long range effort into the arms of Alnwick spoke of increasing desperation. As Villa became more stretched Le Fondre should have made it two-nil after he shoved Chester to the ground. He was through on goal with only the goalkeeper to beat, but despite watching the ball right onto his foot he sliced the volley wide. Jack Grealish gave the ball away in midfield and Bolton built again. Chester headed a dangerous cross to safety. The spaces were opening up and the snow started to fall again, when Grealish sent Snodgrass away down the right and he cut back a cross which Hogan volleyed towards goal but somehow Flanagan managed to dig it out off the line and it was smothered by Alnwick. Villa came yet again and Grealish, on the right, sent in a deep cross to the far-post and somehow Alnwick managed to scoop away James Bree’s diving-header and it was desperately booted away by Ameobi. Villa plugged away but never looked like scoring. The final whistle went and the diagnoses began.